Riverside Community Centre is located in Gloucester Rd, Malmesbury SN16 9JS. Open since February 2017, the Centre is run by Friends of Riverside in partnership with Wiltshire Council. There are a wide range of activities and classes for people to enjoy and also rooms which are available for hire. Free WIFI and other equipment is also available at the Centre! So, have a look at our quick 2-minute tour or scroll down for our Virtual Tour of the building. We look forward to seeing you soon! 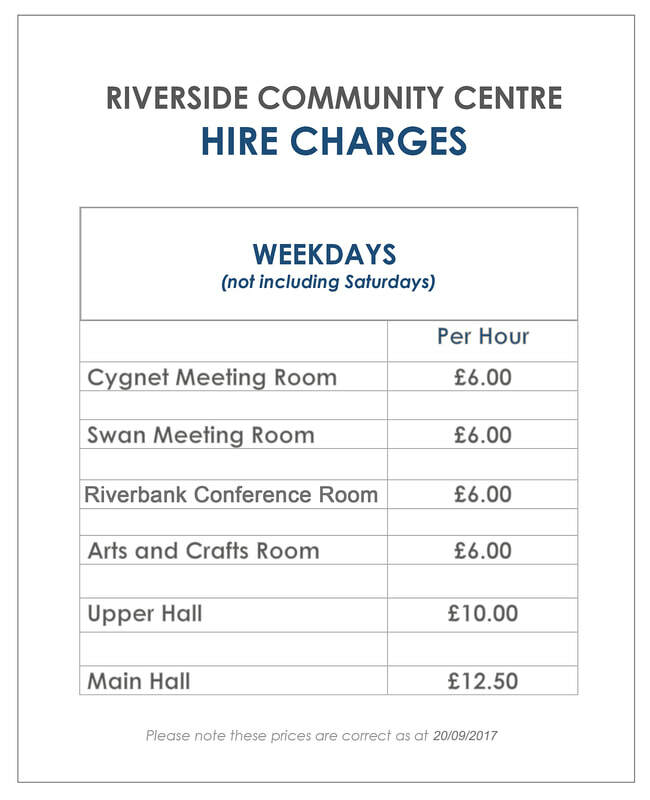 Whether you are thinking of a number of sessions, for a child's birthday party or just a one off meeting, please email us using the Contact Form below or send an email to info@riversidecommunitycentre.org.uk or alternatively please phone us to discuss on Tel: 07888 38 38 44. See below for charges. Free Wifi, free use of crockery, cutlery and other equipment, if required. 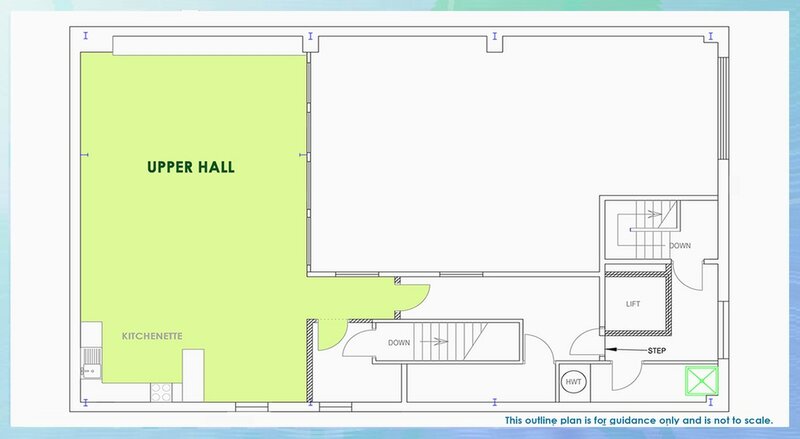 Floor plans and dimensions give an idea of the layout and size of the rooms, and our video and virtual tour also suggest how rooms can be set up, however a visit to see the space is recommended before booking, just get in touch with us! Our virtual tour, linked to Google Maps, is another way to explore Riverside online. Click the arrows to move through the rooms. Room dimensions can be useful when considering where to place tables or chairs for an event. Please bear in mind that sufficient access to fire exits is required. Additionally, room measurements are taken from the original plans and are from the largest room points only - they do not take into account permanent fixtures and fittings. 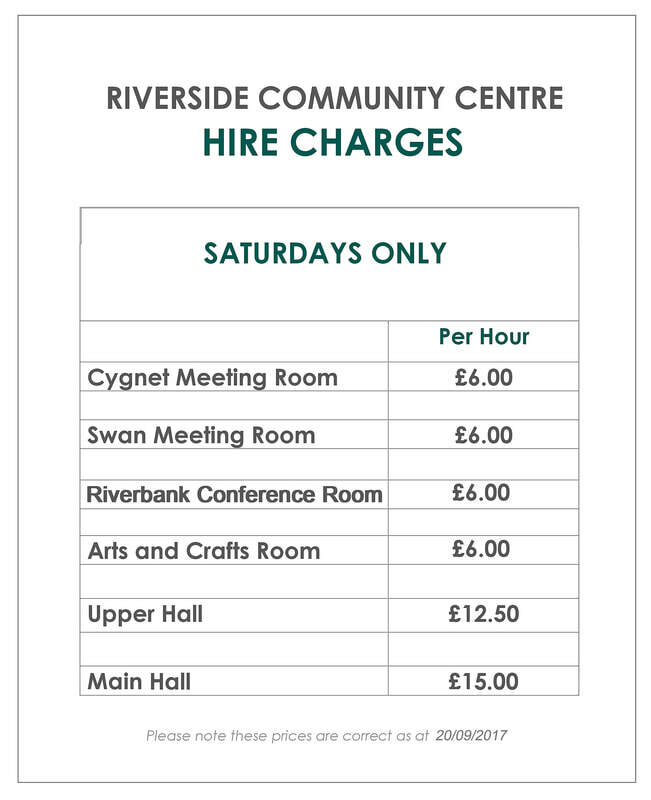 So these dimensions are for indication purposes only and we always recommend visiting Riverside in person to see the space you wish to hire. The Malmesbury Skate Park is located at the rear of the building, but has a separate entrance. It is also managed separately by Malmesbury Skate Park Group (MSPG). The skatepark is only open for use at specific times, check the Malmesbury Skate Park Group facebook page for opening times or tel: 07984 743796. Subscribe to our regular e-newsletter to keep up to date with our news and to find out what's happening at the centre! Click on the link, go to our Newsletters web page and use the online forms at the bottom. Alternatively, please just email us at info@riversidecommunitycentre.org.uk or phone 07888 38 38 44. You can contact us using this Email Contact Form if you would like to register your expression of interest to hire a room, or for more information or queries. We send out regular e-newsletters to keep you informed about what's happening at the centre and other news!